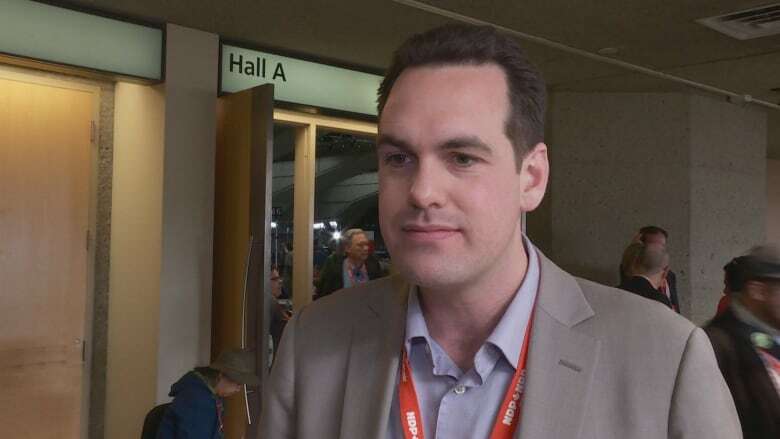 Kicked out of the New Democrat caucus over harassment allegations, Saskatchewan MP Erin Weir said today that he's switching his official political affiliation to the Co-operative Commonwealth Federation — a party that has been defunct since 1961. NDP Leader Jagmeet Singh expelled Weir from caucus earlier this month after stating that an investigation had substantiated harassment allegations against him. Singh said that Weir was given the boot after he refused to take responsibility for his actions and lashed out through the media at the person who issued the complaint. Weir himself said he was punished for speaking out publicly about the case. Weir said those priorities are still relevant today. "I'm certainly not proposing to organize a new political party or anything like that. It's really just a way of identifying myself and the values that I aspire to represent in Parliament," Weir said. This is the second time this week that a member of Parliament has announced a switch in party affiliation. Seven MPs who recently split from the Bloc Québécois in protest over the leadership of Martine Ouellet announced Wednesday the creation of a new party, Quebec Debout, and said it would prioritize defending Quebec's interests in Ottawa over the Bloc's program of promoting separatism. The MPs will register the new party's name with the chief electoral officer next week before launching consultations across Quebec to learn how their constituents want to be represented in Ottawa, and how people will choose between them and their former party.